In periods of globalization and development of modern technologies, people receive unlimited job opportunities. Only a few years ago both the clients and the workers were bound by their geographical location. Now, with the extensive internet connectivity and the abundance of different online resources, the miles between employers and employees become less important. In no small measure, it became possible due to the numerous freelance marketplaces. Among the numerous freelancers, every client will definitely find the one that suits their demand regarding the skills, rate and pricing. And even being located on different sides of the globe will no longer prevent them from cooperation. The modern web offers numerous freelance platforms, and their number increases annually. If you would like to take a step in this business and offer your variation of a job platform, do not miss this article – here we shall tell you how to build a freelancer marketplace that will attract potential clients by the speed of work and the convenience of the interface. We shall also give you some useful business tips on planning the strategy of development. If your project implies the work of a specialist from your country, the best solution is to find the employee in the local marketplace (for example, TikkTalk is a suitable option to find interpreters from Norway). If the geographical factor is not critical, feel free to try one of the global online platforms, e.g. Behance. If you need the help of a narrow specialist, consider using one of the numerous marketplaces specialized in the particular area (e.g. 99designs.com for designers). If the work implies general knowledge or the awareness of the related areas of the subject, consider using the general platform uniting the specialists of different areas (like Freelancer). 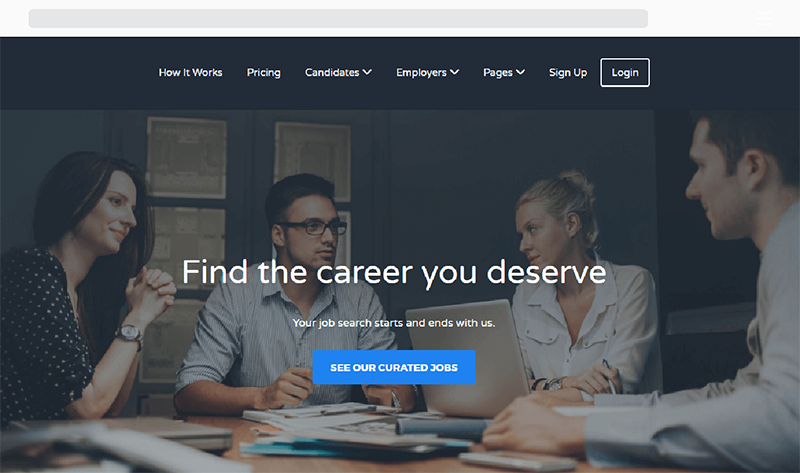 Some of the marketplaces (like Upwork) specialize in long-term projects with high budgets, some of them (like Fiverr) offer help with single jobs and are focused on affordable prices for the clients. 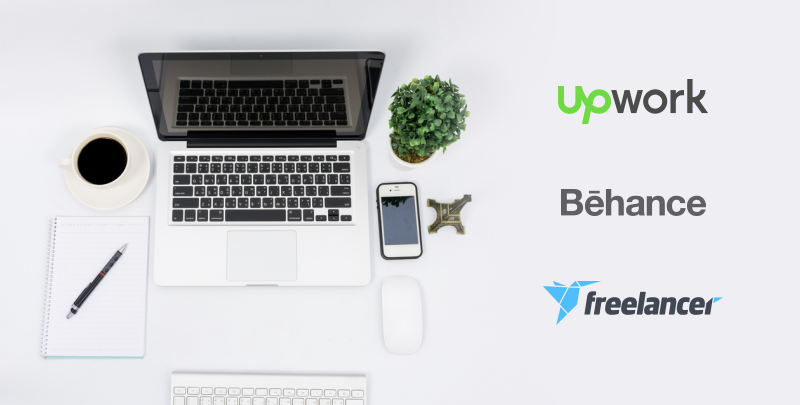 The biggest freelance sites like Upwork, Behance, Freelancer and Fiverr are known and trusted by freelancers and clients all over the world. These marketplaces act as a mediator between employers and employees helping them to build business relationships with each other. Every day these platforms help millions of their users to find suitable work or workers, giving huge profits to their owners. Since the freelance marketplaces have proven themselves to be a convenient solution for their users and a profitable enterprise for their owners, we can expect numerous entrepreneurs to enter this business. In order to build a successful business, it is not sufficient just to create a freelance website like Upwork. You should create a business plan and a strategy for promoting your project. Let us give you some useful information. If you decide to build a freelancer marketplace, you should realize that you are entering a field with strong competition. Why should the customers choose a new platform if they can use trusted and reputable giants? Before starting work on development or even a business plan, answer the most important question: what will make your site different from the others? If your site has a unique feature that will not only differentiate it but also solve some a problem of the users, it is likely to find its niche in the market and to gain the loyalty of the certain audiences. To find out whether your target audience is ready to use your product, you firstly can develop a minimum viable product (MVP). The MVP of your platform will possess only the basic functions sufficient to estimate the idea and decide if it is worth being used and bought for its usage. To learn more about the MVP and the process of its development, feel free to refer to the corresponding article. Use the services of a professional company to develop a freelance marketplace from scratch. These templates are easily recognized by professionals that may consider this kind of website to be amateurish. It is rather challenging to customize a ready-made template and make your website look and function exactly how you want. Such templates are not designed to handle a large number of users, and in the long-term perspective, you will still have to move your website to a more powerful platform. You will receive a professional and fast site with a convenient interface and high speed of work. Since the website is built from scratch, the developers will be able to implement all your ideas. The site will be capable of handling more queries at the time. However, in case it requires modification, it will be easier to expand its capability since you will have to modernize the existing resource, not move your site to a different one. Ordering the development of a freelance platform from a professional web development company has another strong point: it is a popular type of work, and such companies already have relevant experience. Sloboda Studio also has already worked with creating marketplace platforms, and we shall use our experience in order to create the most convenient solution that will exactly meet your requirements. Let us share our experience on how to create a freelancer platform. The platform is designed to connect the freelancers and the companies by helping them to find the most relevant worker in order to give them a task. There are two types of profiles: journalists and companies. The journalists complete their profiles by uploading their portfolios, choosing the skills and their sphere of expertise. The clients search for the workers and connect with the necessary ones with the help of the internal messaging system. The goal of the buyer’s part of the interface is to easily find and get in touch with a freelancer with the necessary skills and expertise. The client posts a job and, from among the interested freelancers, chooses those who seem more relevant to him. It is possible to discuss all the details in the private messages. Upon coming to the agreement, the client assigns the freelancer a job. At this time, the necessary amount of money is charged from his credit card and remains frozen in the system. When the worker completes the task, and it is approved by the client, the system transfers the money to the worker. 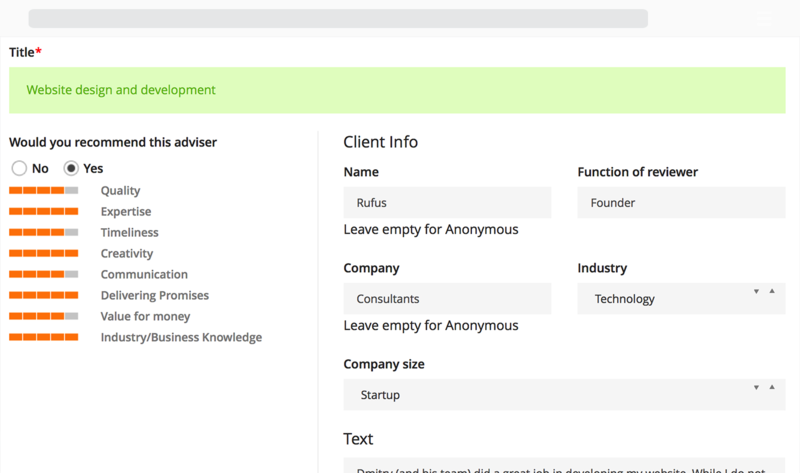 When he first logs in to the platform, the freelancer is asked to fill in his profile. He states his skills, the area of his expertise, the languages he knows and gives a brief description of himself as a professional. The freelancer also has the option to create his portfolio. Once the profile is filled, the worker may search for a job in the marketplace. By choosing the criteria for filters, he finds the matching job and can apply for it. There is also the option to send the client a direct message in order to discuss the details. When the freelancer is assigned, he performs the task and uploads the result. The customer approves the work, and the money is deposited to a worker’s account. It is possible to search for a particular job among the job ads and a particular work in the freelancer’s portfolio. The search can be performed in a “fuzzy logic” manner, without an exact match in the search item. After finishing the cooperation, the parties grade each other with 1-5 stars (5 being the best). The grades of the users are displayed on their profile pages. We use Grape and the Rails API mode to build the REST API that serves as a store-front for the Market. Grape provides all the tools to validate inputs and build the data presentation logic out of the box. Rails allows you to just roll up and deploy the web application in a breeze. Client-side: HTML5, CSS3, Bootstrap (via custom React components), SASS, ES6, Webpack, Babel, React, Redux (redux-router, redux-form, redux-saga), WebTranslateIt i18n. At the front-end side, we use the React components library, which is built on top of SASS version of the Bootstrap CSS framework. It helps us to speed up the development significantly. Tools: Heroku, Github, JIRA, SemaphoreCI, Swagger, Hound, NewRelic, Logentries. We love to automate everything, even communication on the team, so we make heavy use of Continuous Integration (via SemaphoreCI, Github webhooks, Heroku) and auto-generated documentation (Swagger UI). We make use of the WebTranslateIt to have the web app content localized in all the necessary languages. Our assets are stored in Cloudinary because it has its own CDN for fast content delivery. It allows us to apply image transformations on the fly without any workload burden for our back-end. The freelance market is expanding gradually, and this kind of work is becoming an everyday phenomenon. There are numerous marketplace platforms designed for buying and selling the freelance work, and new ones are constantly appearing. If you are interested in how to build a freelancer website then you are probably going to make a step in this business. Sloboda Studio will gladly assist you with the development of your product. If you have any questions, we are always here to help.